Digital Insurance OmniChannel Solution - Insurance at your fingertips! Digital Insurance is an Omni-Channel solution providing insurance organizations with the ability to offer their services over mobile and web, enabling customers to enjoy the benefit of Anytime, Anywhere access to their comprehensive Insurance portfolio. Whether at your desktop or on the go, eInsurance now has your customers covered! We provide everything your customer would need from their Insurance policy, and more. Allow customers to view their coverage, consider additional services, make changes to their policy, pay their bill, and make a claim or chat live with an agent and so much more. eInsuranceNOW makes dealing with insurance a friendly experience, EVERYtime, ANYtime, and from ANYwhere! 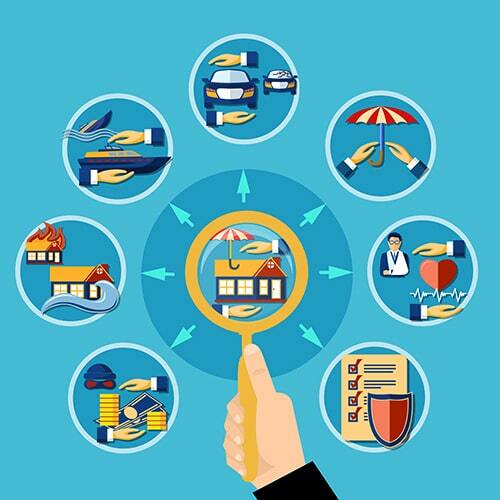 eInsurance OmniChannel Solution is designed based on a multi-layer solution that enables any Insurance Organization to seamlessly scale with additional services, with little effort. Comprehensive Policy details at your customers fingertips simplify interaction and increase Customer engagement! Quickly submit and track a claim from your mobile device, desktop or by using SMS! Provide fast, safe, secure & accurate quotes for any policy product or service! Help users easily locate nearby locations through integration to GPS! Everything they need at their fingertips,Including ways to travel safely! Provide Instant access to policy status and related information; simplify customer interaction and increase client. Enable immediate policy bill payments check the current balances, on-the-GO! Move to Next Insurance generation user easily capture, upload a camera photo of the crashed car with location of accident form GPS to submit a full Car accident claim. Customers carry their Medical ID card on their phones, use them easily for entry into any medical services centre, no need for traditional more costly channels. Send notifications; policy renewals, policy information, marketing messages and even security alerts! Access to information at your customer’s convenience! Provide customers with instant access to your policy Calculators, to realize policy pricing models reflecting your products and related services; convenience tools made easy! Your Customers connect directly to your organizations directory for easy access to your personnel, just a click away!